If your self-esteem is great and if you think you can teach a lot to people, taking them to the success, then you may want to become a Life Coach. Life coaches use different methods in order to help clients set and reach their goals. Life coaching has its roots in executive coaching, which use techniques developed in management consulting and leadership training. Life coaching also take inspiration from disciplines including sociology, psychology, positive adult development, career counseling and other types of counseling. A skilled experienced life coach develop a personal vision, identify goals and create an action plan in order to help clients achieve success. Since more of 30 years, Anthony Robbins is a very popular and successful life coach : he has spoken in front of more than 3 million people around the world and sold around 35 million books and audio coaching products. 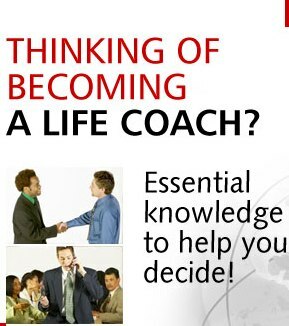 Just think about it : if you want to become a life coach, you will have a lot of advantages. 5 – you can work online or even by phone. Here below you find the steps on how to become a life coach. To become a life coach, you need training and you can find some opportunities to learn from courses offered from several companies. Keep in mind that the fastest way is not always the more profitable solution. Decide if you want to operate more in the lifestyle, corporate , business or spiritual coaching. Each of this field has different needs. Think about yourself and your abilities and it will be easy to choose. Once you are trained as a life coach, you need to think about how much charge for your services. This will depend a lot from your experience. Many life coaches that work with single clients charge about $300 to $1,000 per month for a 30 to 60 minutes call, from 2 or 3 times a month. Executive coaches gains more and some customers work with a coach for an hour or two a week : the price is about $100-200 per hour. Of course, corporate coaching is more exclusive, and may arrive to cost between $1,000 up to $10,000 per month and normally starts at $500 an hour. Corporate coaching often includes website where you can train online. While you decide that you want to be a life coach, you need also to think about the target of your clients. May be you can choose to establish your business in a niche : for istance you can focus your coaching to weight loss helping people with their fitness. You need to consider that in these last years the Self Improvement Industry has become really competitive as the request for the services it provides has really increased. Because this sector is not well regulated, there are a big number of people offering personal support services of one sort or another, including life coaching (and may they are not prepared). Be sure to check in the Yellow Pages or your local business directory, where you may find good information about the possible local competitors that you may have if you decide to start a business as Life Coach. When you have decided your market, you can start promoting yourself and your services as life coach. Marketing is about reach people in your targetmarket and telling them about your business and informing on how you can help them. You can even decide to build a website. Creating your online presence is not so hard, above all if you decide to use Wordpress and build a blog about your business as Life Coach. Of course more traffic you will get in your site, will lead to more potential customers. There are a lot of ways to get more visitors to your blog : for example, article marketing, forum marketing, subscribing your blog to Directories, and some other methods. 11 – think about the people’s needs : you should recognise what your clients need. And have fun making money becoming a Life Coach ! Tony Robbins sets the bar very high.